Many products are derived from hemp as shown in the image below. Hemp offers opportunities to uncouple some of our needs for fossil fuels. In “Hemp I” we looked at the cultivation, machinery and equipment needed for growing and using hemp. Here we look at some of the products and a host of videos, showing the machinery, equipment and buildings. Enjoy. 1980). For most of its history, C. sativa was most valued as a fiber source, considerably less so as an intoxicant, and only to a limited extent as an oilseed crop. Hemp is one of the oldest sources of textile fiber, with extant remains of hempen cloth trailing back 6 millennia. The fiber is one of the most valuable parts of the hemp plant. It is commonly called bast, which refers to the fibers which grow on the outside of the plant’s stalk. Bast fibers give the plants strength. Hemp fibers can be between approximately 0.91 m (3 ft) and 4.6 m (15 ft) long, running the length of the plant. Later the fibers may be cut to shorter lengths. Depending on the processing used to remove the fiber from the stem, the hemp may naturally be creamy white, brown, gray, black or green. In Europe and China, hemp fibers have been used in prototype quantities to strengthen concrete, and in other composite materials for many construction and manufacturing applications. A mixture of fiberglass, hemp fiber, kenaf, and flax has been used to make composite panels for automobiles. The first identified coarse paper, made from hemp, dates to the early Western Han Dynasty. Hemp shives or hurds are the core of the stem. In Europe, they are used for bedding (horse bedding for instance), or for horticultural mulch. The basic building block of plastics is cellulose taken from petroleum, but toxic petrochemical compositions are not the only way to derive plastics. Plastics can be derived from plant cellulose, and since hemp is the greatest cellulose producer on Earth (hemp hurds can be 85% cellulose), it only makes sense to make non-toxic, biodegradable plastic from hemp and other organics, instead of letting our dumps fill up with refuse. A recent technological advance with biodegradable plastics made from cornstarch has led to a new material based on hemp. Hemp Plastics (Australia) have sourced partners who have been able to produce a new 100% biodegradable material made entirely from hemp and corn. This new material has unique strength and technical qualities which have yet to be seen before, and this new material can be injected or blow-molded into virtually any shape using existing moulds, including cosmetic containers, Frisbee golf discs, etc. Hemp hurds may be processed into cellophane packing material, which was common until the 1930s, or they may be manufactured into a low-cost, compostable replacement for Styrofoam. Zellform (Austrian) has created a hemp-plastic resin called Hempstone, for use in musical instruments, loudspeakers, and furniture. This material can be carved into any desired form. Hemp can also be made into compressed door panel and dashboards. Carmakers such as Ford, GM, Chrysler, Saturn, BMW, Honda, and Mercedes are currently using hemp composite door panels, trunks, head liners, etc. These composites are less expensive than dangerous fiberglass counterparts. Hemp fiberglass replacements would only cost 50 to 70 cents a pound. These hemp composites could replace carbon and glass fibers, which have environmental and weight problems, and run from 60 cents to 5 dollars a pound. The reason why virtually all European car makers are switching to hemp based door panels, columns, seat backs, boot linings, floor consoles, instrument panels, and other external componets is because the organic hemp based products are lighter, safer in accidents, recycleable, and more durable. The possibilities are endless with hemp plastics and resins, and Biocomposites. Virtually any shape and purpose can be fufilled by biocomposite plastics. Just think of the possibilities and realize that biodegradable non-toxic products are always the wisest choice for the future. Hemp biodiesel is the name for a variety of ester based oxygenated fuels made from hemp oil. The concept of using vegetable oil as an engine fuel dates back to 1895 when Dr. Rudolf Diesel developed the first diesel engine to run on vegetable oil. Diesel demonstrated his engine at the World Exhibition in Paris in 1900 using peanut oil as fuel. Hemp biodiesel comes from the pressing of the hemp seeds to extract the oil. Through a process explained here , hemp biodiesel can be made. Methanol You will need 200 ml of methanol per liter of Hemp Seed oil. Methanol may be purchased as Drigas available at most automotive stores, read the label for methanol. Also Methanol is available from racing stores. Avoid hardware store methanol (wood alcohol) as it might contain excessive water content. Research into food and other uses of hemp is quite easy. I will leave that to you the reader. Below find some of the videos I have collected on hemp. As with my other works, look at the processes, the equipment, the buildings, the machinery and consider the energy required to accomplish the various tasks. If there is a future for hemp, these are what will determine it. Small processing, small machines, very good. Again look at the equipment. Processing hempfibers for later use within textiles. Depending on the fibers’ quality you have to use different techniques. Here we see the many steps it has to take to make it "silky smooth". The infrastructure used here is based on the same for flax making linen. It’s an intricate process from implementing, growing to handling the yield. If you don´t have the technique or the "economic infrastructure" to handle the raw material and a market to replace or combine the output youll end up, in best case, with a nice hobby and a smile on your face. the process is very similar to the one noted above. This is how the University of Idaho Biodiesel Education Program makes smaller batches of biodiesel. Our farm scale production facility can make up to 500 gallons of biodiesel at a time in our large reactors, but here we show you how we make a 5 gallon batch. Image: The Shely Fiber Breaker-Scientific American, Vol. LXVL-No. 26, New York, June 25, 1892. Designed to break six to eight thousand pounds of hemp or similar fibre a day. takes up to nine people to assist with processing. As printing in The Invisible Hemp Industry? by John E. Dvorak, as published in The Journal of Industrial Hemp on September 25, 2008. A look back provides some perspective as to the role that hemp has played along with some insight as to how it will play out. In the 1600-1700s, hemp fiber was vital to several industries. Hempen sails, rigging and caulking allowed the exploration of new worlds to take place. Hemp linen was worn by many and clothing scraps were a primary ingredient for the paper which helped foment the intellectual advances of the day. The manufacturing of these articles also provided jobs for many in Colonial America. The ropewalks noted on Captain Bonner’s 1722 map of Boston (Figure 1) are graphic evidence of hemp’s impact on society and the economy. Hemp seed was also historically used for human consumption and as animal feed. The vast majority of hemp used in America was cultivated and processed abroad, because of the supply of inexpensive Russian hemp. Efforts to increase cultivation in America were generally unsuccessful. 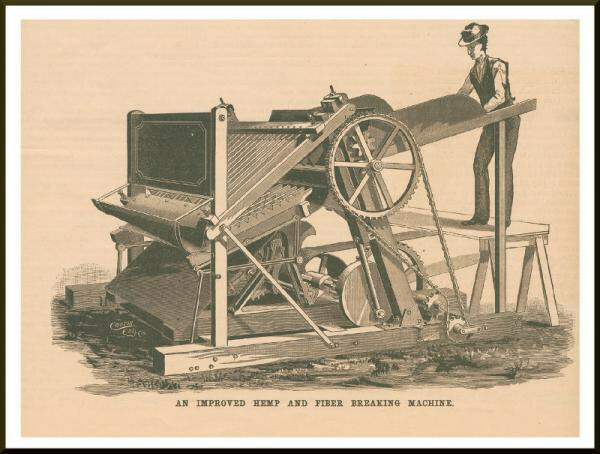 Technological advances such as the steam engine, cotton gin, and wood paper processing significantly reduced the market for hemp. Unfortunately, it does not appear that similar progress occurred when it came to the harvesting and processing of hemp. The ungainly Shely Fiber Breaker, illustrated in Scientific American in 1892 (Figure 2) required up to nine people to assist with processing. And, as late as 1916, hand brakes were still the primary method of removing hurds from hemp fiber in Kentucky. During the height of hemp cultivation in America in the 1850s, over 70,000 tons of hemp was produced. These amounts declined significantly towards the end of the century. For the 25 year period from 1892 through 1916, just over 5,000 tons of hemp was produced each year with an additional 5,000 tons imported. 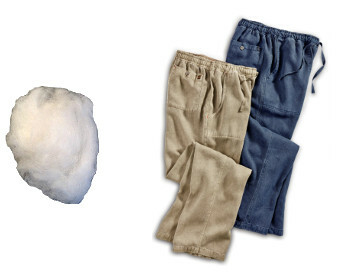 Over the same time period, an average of 2.6 million tons of cotton was produced each year. Hemp used in America was therefore less than one half of one percent of the cotton produced. Even imports of non-cotton plant fibers including jute, manilla and sisal dwarfed hemp as more than 250,000 tons was brought into America each year. These figures provide stark testimony to the relative insignificance of the hemp industry. One of the biggest markets for hemp in the 1800s was for covering the bales of cotton for shipment. Bales containing several hundred pounds of cotton were held together with fifteen pounds of hemp fiber. The fact that hemp was used as cotton bagging highlights the minor impact that it had on America’s economy. Despite this, hemp was frequently shown alongside cotton as a source of fiber as evidenced by the 1877 print by William Rhind (Figure 3). In the 1931 Yearbook of the United States Department of Agriculture (USDA), the primary purposes of hemp listed by long time researcher Lyster H. Dewey included twine, string, cord, yarn and binding. This limited range of products illustrates the one-dimensional nature of hemp. The much-touted 1938 Popular Mechanics article titled the “New Billion Dollar Crop” noted that 25,000 products could be made from hemp, “ranging from dynamite to cellophane.” However, the article focused on products derived from hemp stalk and not hemp seed, which is currently proving to be the source of many of the most popular and profitable hemp products. Today, hemp’s relevance in many ways runs parallel to its past. String and twine are still one of the most common hemp products in the marketplace. And, at the global level, the percentage of hemp grown compared to cotton remains miniscule. In 1998, worldwide cotton production was almost 20 million tons a year, while global hemp fiber and seed production totaled about 100,000 tons, or one-half of one percent. Fortunately, the modern uses of hemp are much more diverse than those of yesteryear, opening unforeseen avenues into the marketplace. ...Advances in the processing of hemp fiber are silently increasing the types and qualities of hemp fabrics that are weaving their way into the marketplace. Several top name clothing companies including J. Jill, Patagonia, Armani and Robert Redford’s Sundance Catalog regularly include hemp fabrics in their clothing line. While descriptions of these products usually tout hemp’s durability and eco-friendly characteristics, they do not flagrantly overemphasize this. 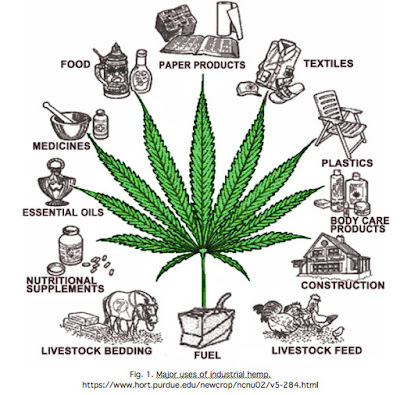 However, the use of hemp by mainstream companies not only significantly increases its overall demand; it reinforces the positive image of hemp and further ingrains it into the public's consciousness. Tree free paper is writing its own history as continued deforestation takes its toll on the availability of wood based pulp. With the increase in the price of wood pulp, tree free sources such as hemp become more feasible. More and more companies are using recycled and tree free paper as a way of being more environmentally responsible.Requesting tree free hemp paper products at your company and from your local merchants will help increase awareness as well as the prospect that they will seek out hemp based paper products. more common as companies seek “green” methods of production. The automotive industry’s use of hemp and other natural fibers is proving to be a substantial boon for hemp farmers and processors alike. Additionally, the ability to make several types of fuel out of hemp will one day power it to the forefront of yet another industry. So, although it may feel that progress is being made slowly, keep in mind that we are in this for the long haul and that you can’t build several hemp related industries overnight. It will take several more years to firmly establish hemp as a leader in the food, paper, textile, building material and energy industries. Research is being performed in every area, from cultivation to harvesting, processing, manufacturing and distribution. An inexorable force has been created that will continue to move forward, challenging the status quo and providing examples of hemp’s myriad uses. The scale of hemp’s current predicament augurs well for the future. It not only shows how much progress has been made, but it also shows the incredible potential that hemp holds for the future. Like its potent seed, chock-full of fiber and natural goodness, the hemp industry stands poised to explode past the seedling stage into a towering, sturdy juggernaut that reaches towards the sun with relentless determination. As we reach toward the future, keep in mind our humble beginnings and our humongous plans. So what do I really think about hemp’s future? Invariably, I imagine it “invisibly” insinuating (i.e., intimately intertwining) itself into industry’s infrastructure. - pp. 60- 66, The Invisible Hemp Industry? by John E. Dvorak, as published in The Journal of Industrial Hemp on September 25, 2008. Nice couple of posts, John. Thanks for the digging you do. Here is a flax project you might find interesting. I was wondering about local fiber production a couple year ago, and found their report. They stayed real small scale, and are early in their reskilling. It is similar to hemp processing, and of course, the energy input just in work hours is large. Not sure what they'll be wearing in 50 years. Hemp products are very useful. I personally used raw hemp capsules to increase power because they have different vitamins and I got positive results.